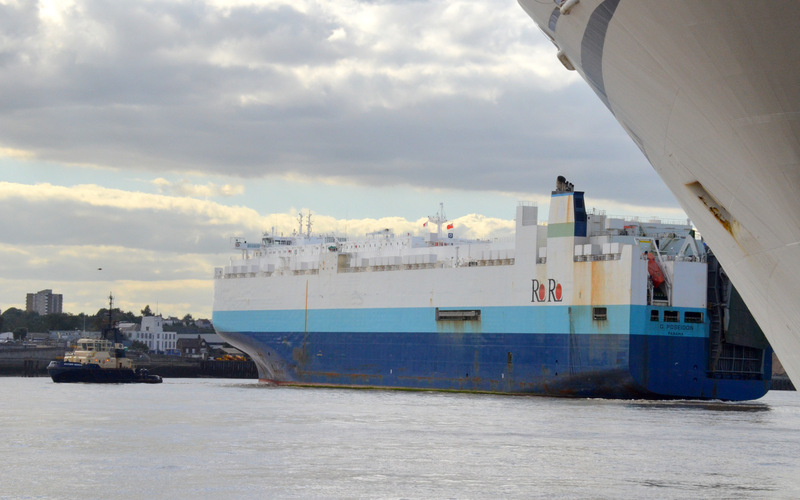 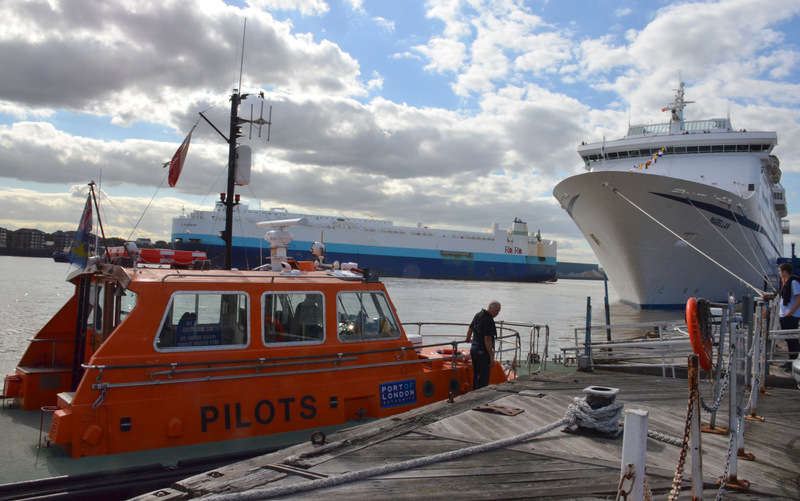 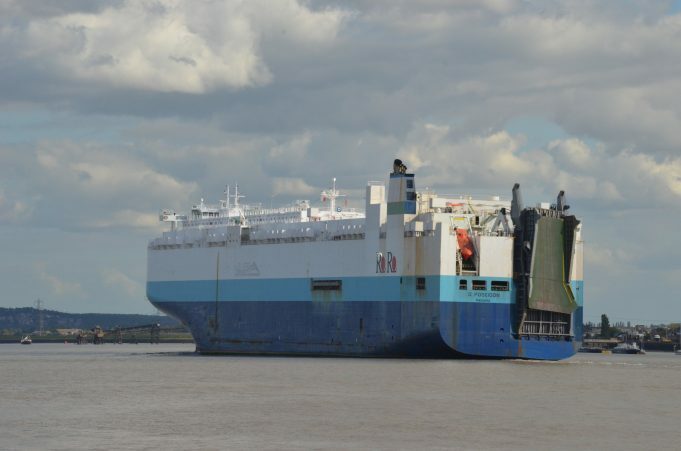 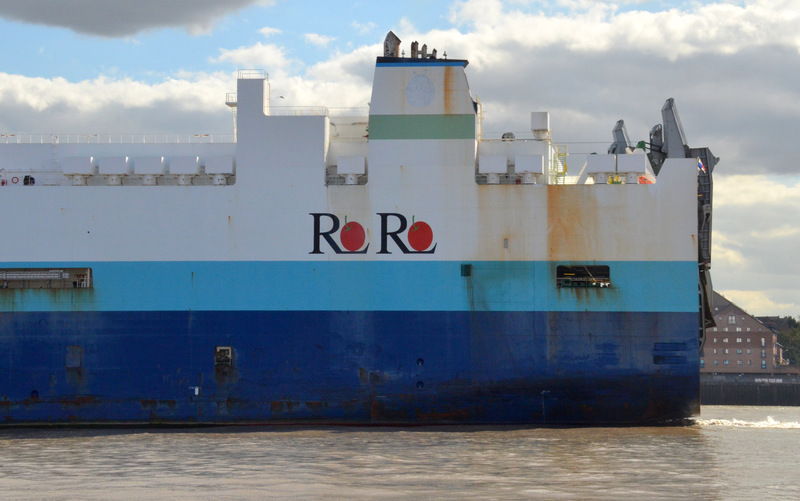 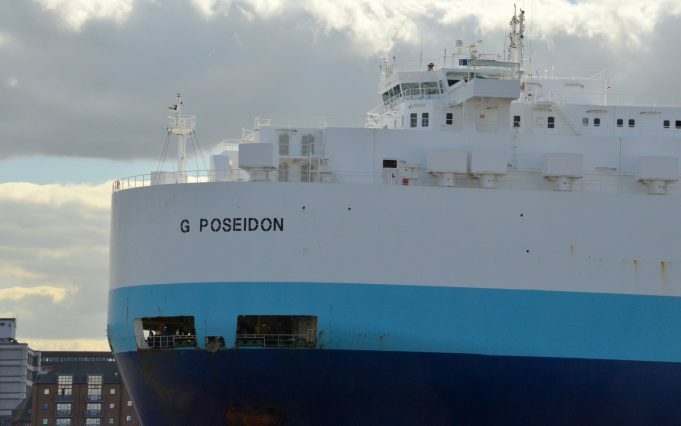 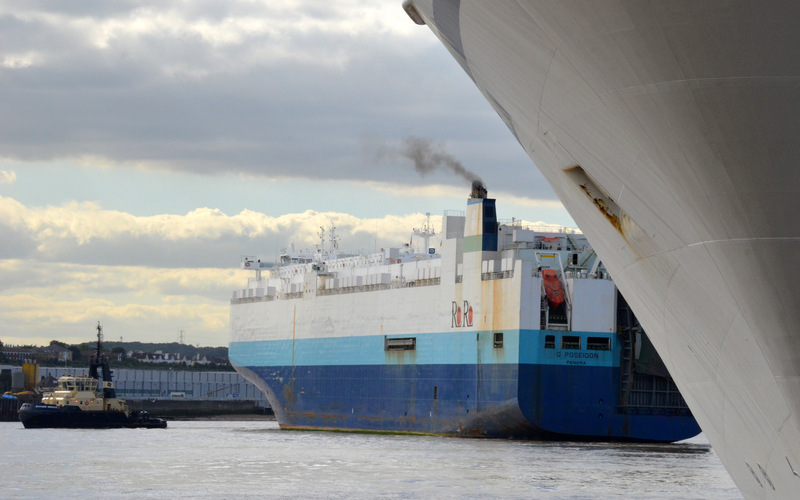 The car transporter G POSEIDON appearing behind the MAGELLAN while turning in the river on 29/9/2015. Notice her snub nose and stern loading ramp. 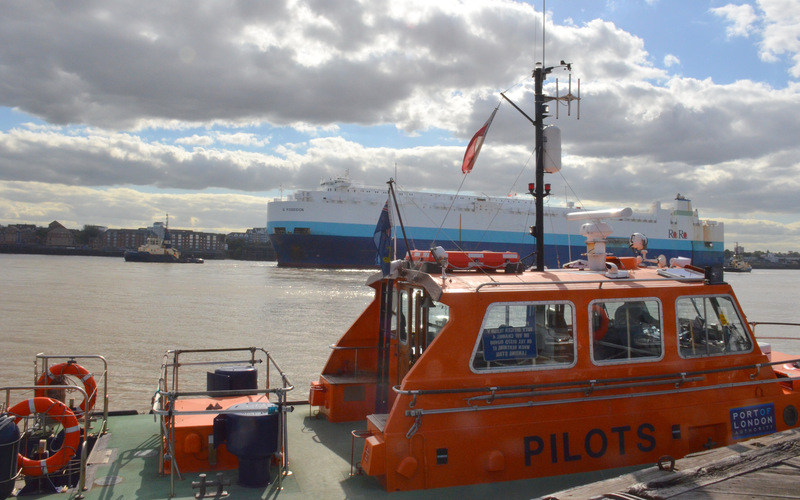 She was built in 2011 at 74,408 grt.